Lulu chilling in the Pride Mountain tasting room. Pride Mountain Vineyard tasting room. 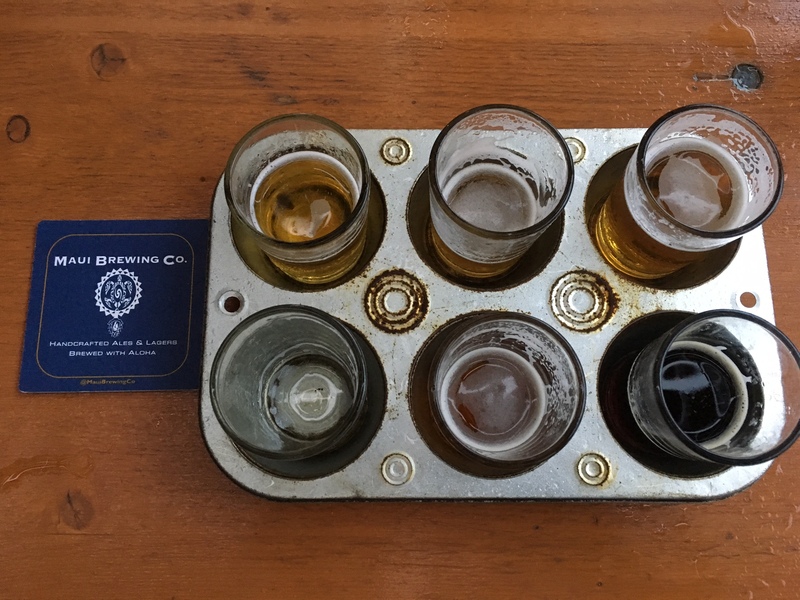 We did an initial tasting in their tasting room. Most of the grapes are grown right there, the exception being the Chardonnay, grown in the Carneros region. Lori and I both thought their Viognier was excellent: not too flowery a nose, good acid and fruit, nice body. One of the best that we’ve had. Left there with a bottle of that. They also make a dessert Viognier by just fortifying the Viognier juice. This makes a dessert wine that is not too high in alcohol (less than 14%), not too sweet, not too syrupy. We also left with a bottle of that, and we don’t ever (well hardly ever) get dessert wines. Not that we don’t like dessert wines, just that we don’t usually drink them, so we don’t buy them. We also tried the Merlot and Cabernet Sauvignon, which were excellent. And there was a 2001 Merlot open! This one had aged quite nicely; yes we brought home some of the current release Merlot. 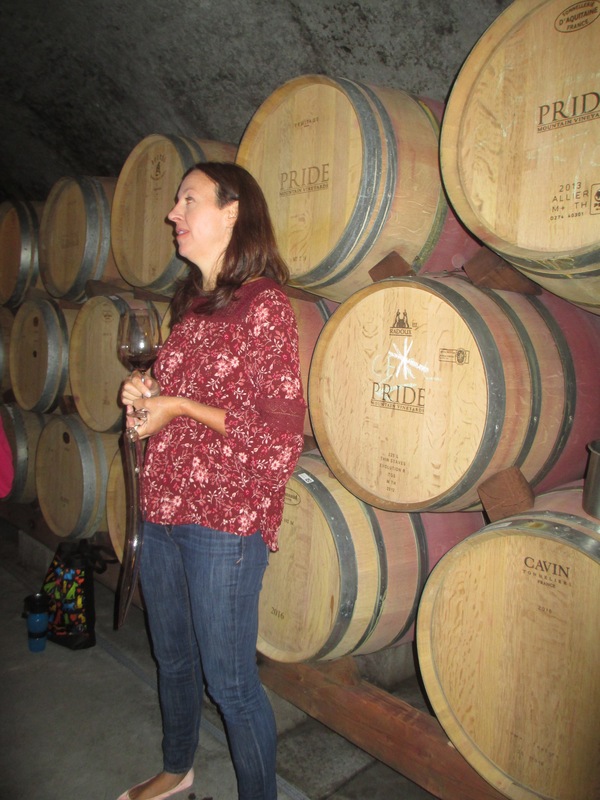 Winemaker Sally Johnson-Blum gave us a tour of their cellars. We then took a tour of their caves with the winemaker, Sally Johnson-Blum. They have about 20,000 square feet of cave space for barrels. As we went through, we stopped at some of the interesting barrels for tastes: Cabernet Franc from two different vineyard blocks, Merlot from different vineyard blocks, Cabernet Sauvignon field blend, and a couple more. A lot of fun tasting with the winemaker and getting her perspective on the different vineyards and varietals, what she likes about each, what she thinks about when she’s blending either the straight varietals or the Bordeaux style blend. 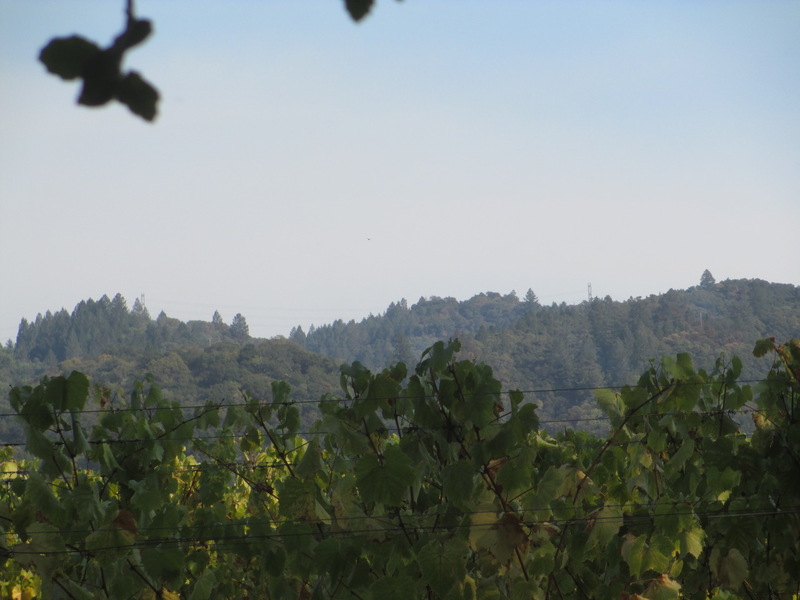 View from the Pride Mountain Vineyard picnic area. Last, we had a picnic. They’ve got a few picnic tables essentially at the top of their vineyards. Tremendous view, and we had an excellent lunch of quiche, lox, salami, cheeses and fruit, together with one of those Merlots. Beautiful. 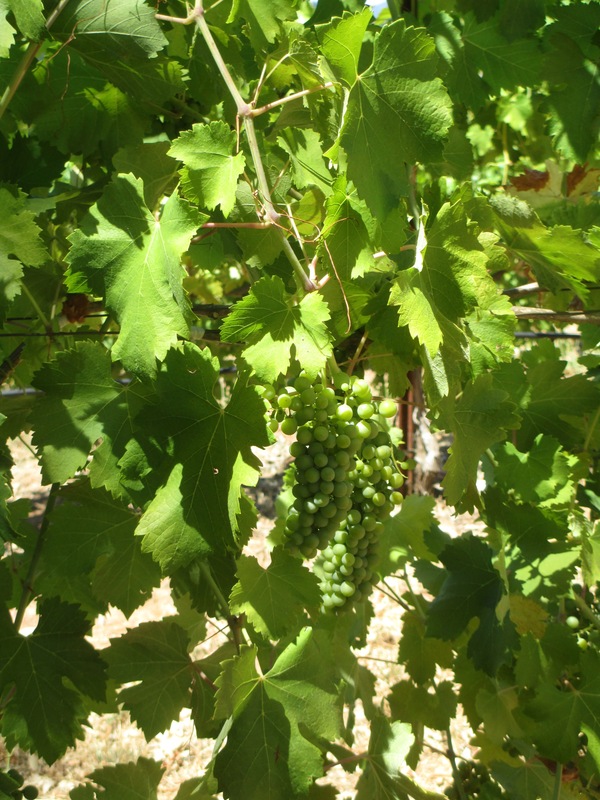 No veraison yet (July 30th) in the Pride Mountain vineyards. By the way, grapes grow differently in different microclimates, different AVAs. Of course we knew this, but here was direct evidence. The previous day we were in the Dry Creek Valley and veraison had started; the grapes had started turning red. Not so at Pride. 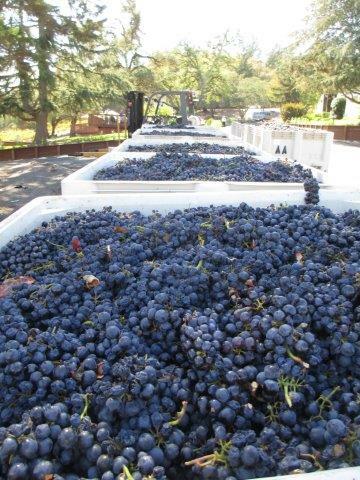 Sally mentioned that their harvest typically runs a couple of weeks later than that for wineries on the valley floors. 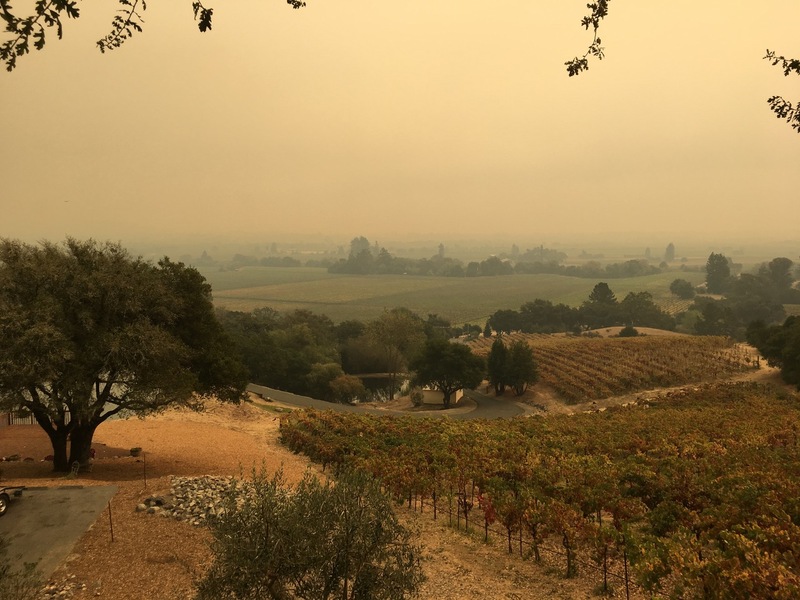 This entry was posted in wine tasting and tagged Cabernet Franc, Cabernet Sauvignon, Merlot, Napa County, picnic, Pride Mountain Vineyards, Sonoma County, Viognier on August 8, 2017 by vvblogman. We got a puppy last week. Not just any puppy, but “Lulu”, at that time an 8-week old Labrador-Golden Retriever mix, and we got her from the Canine Companions for Independence (CCI). 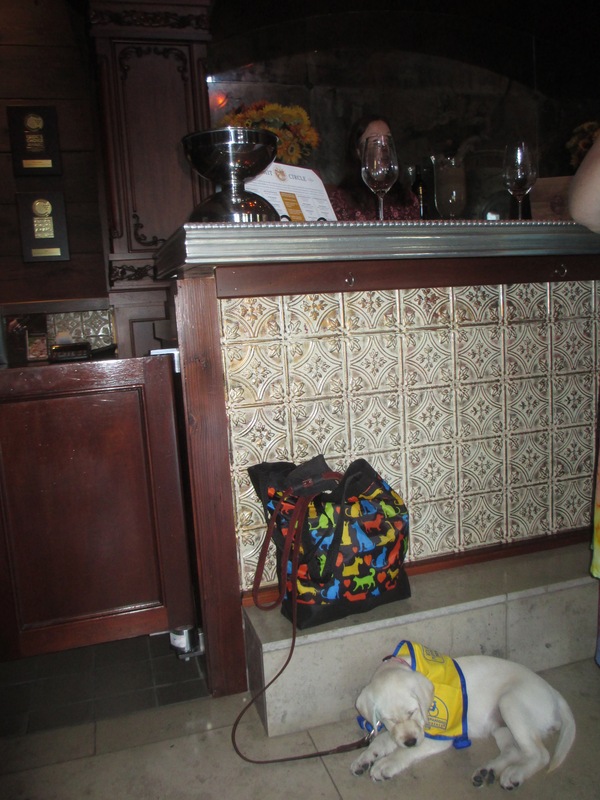 CCI works to provide service dogs to those in need, for whatever reasons. They function by having volunteers (suckers like us) do the basic rearing and training of the dogs, which takes 18-20 months, at which point the dogs are returned to the CCI for final training for their end-owner. So we’ve got probably around 20 months with Lulu, then we hand her back to the CCI. The training is actually pretty demanding, much more so than what we’ve done in the past for our pets. One of the key parts of training is fully socializing the dog by taking them everywhere with you. 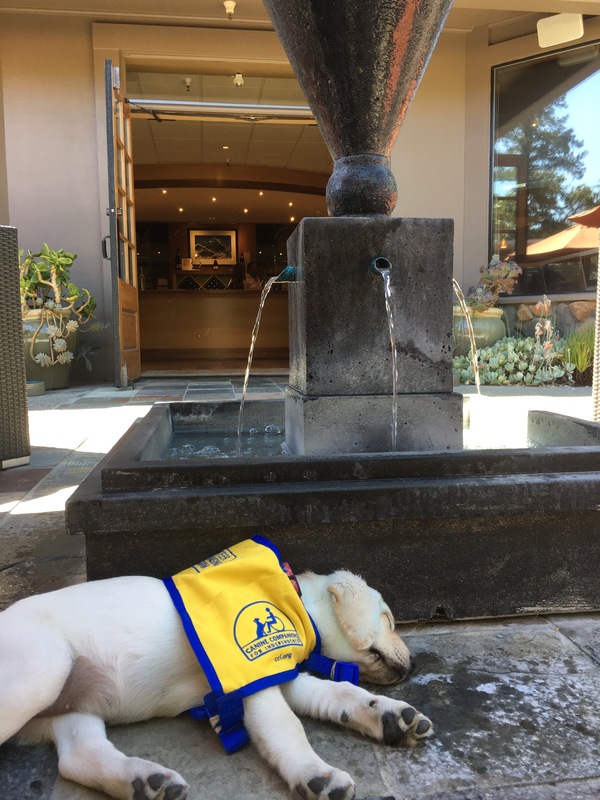 So on Lulu’s first weekend, we were off wine tasting. 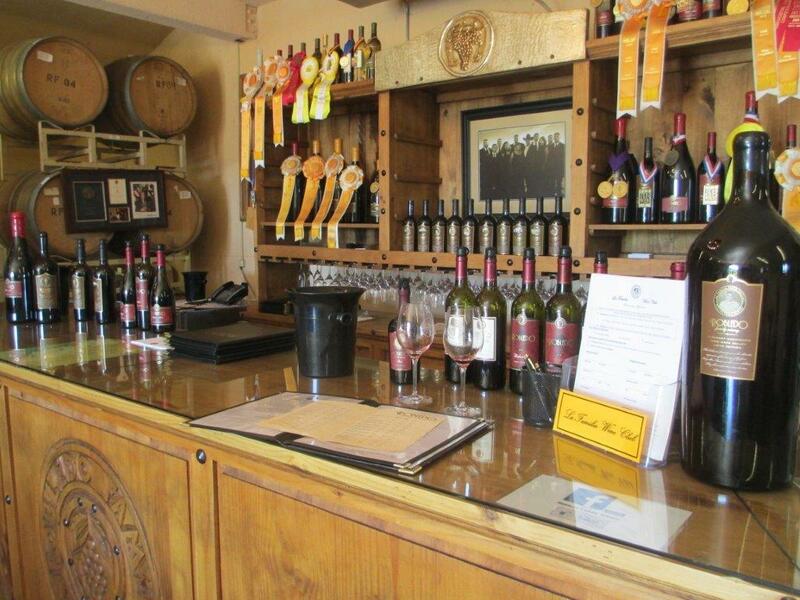 Dutton-Goldfield Winery was Lulu’s first tasting room. 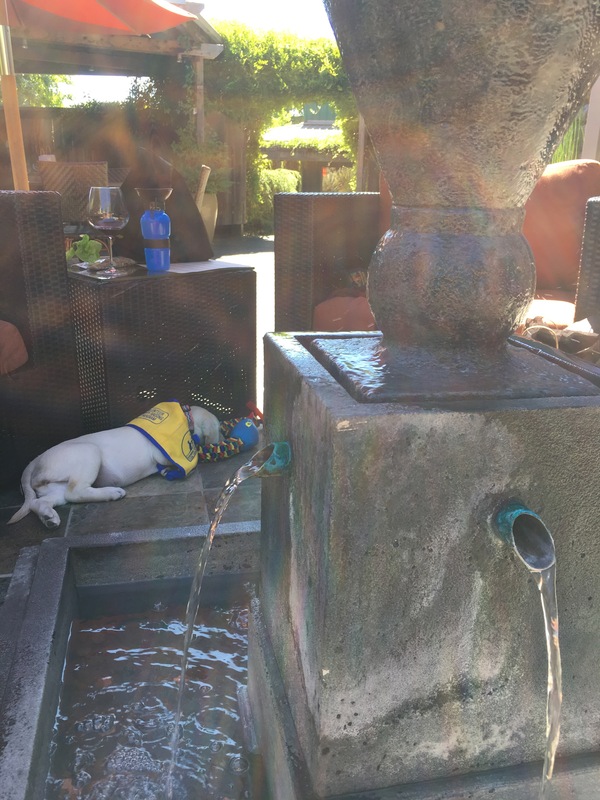 We sat in the patio, next to the fountain, which seemed pretty comfortable for Lulu. Actually, after one plus weeks with her, she rarely seems uncomfortable in public. Tasting at Dutton-Goldfield is a great experience, first because of the great staff, and second because of the great wines. 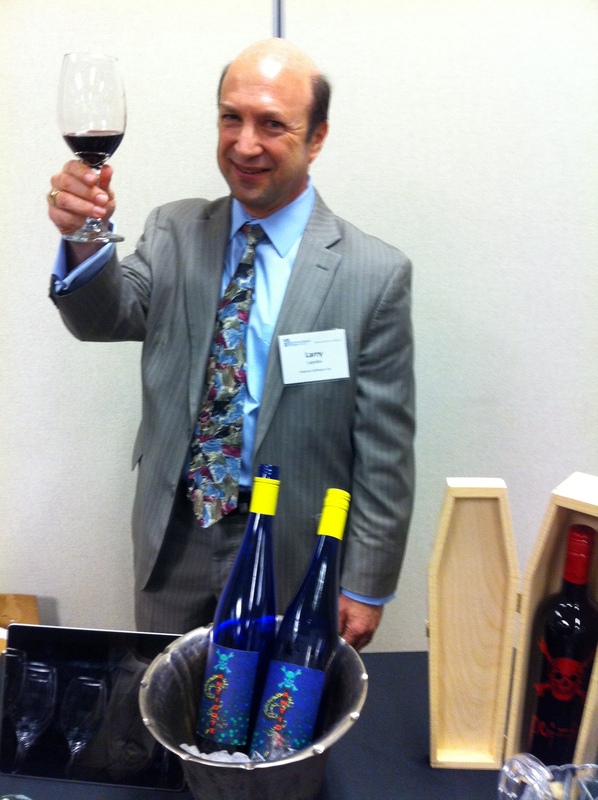 Dan Goldfield is an acknowledged expert winemaker for Pinot Noir and Chardonnay, and those wines did not disappoint. What is not so well known is that Dutton-Goldfield makes a great Zinfandel. The Dutton Ranch Morelli Lane Vineyard, a cold climate Zinfandel vineyard in the Russian River Valley, has consistently turned out grapes that Dan has made into outstanding Zins. Sitting outside in the patio, relaxing with the puppy, drinking excellent wines: what a wonderful way to spend a couple of hours. 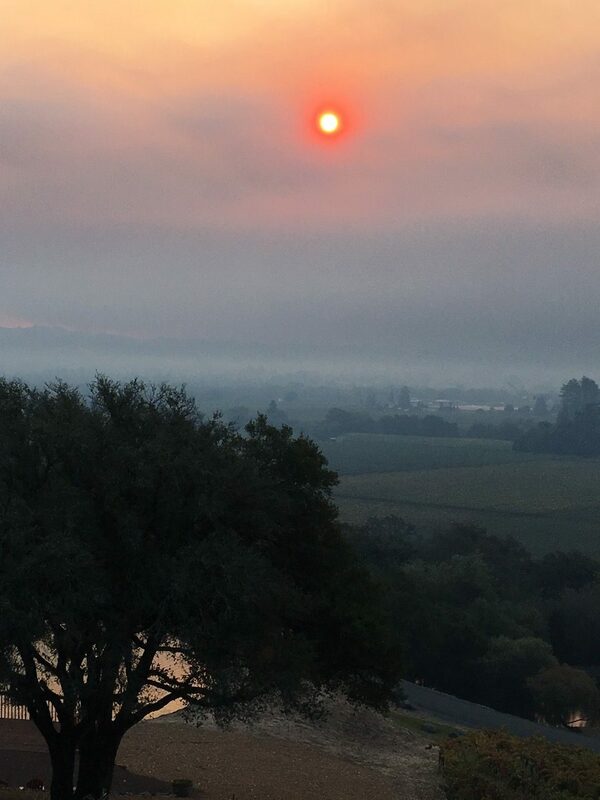 This entry was posted in wine tasting and tagged CCI, Dutton-Goldfield Winery, Lulu, Russian River Valley, zinfandel on August 2, 2017 by vvblogman. Lori and I took some time off last week and went to Maui. Really took time off: I think I responded to two emails over a span of 6 business days. 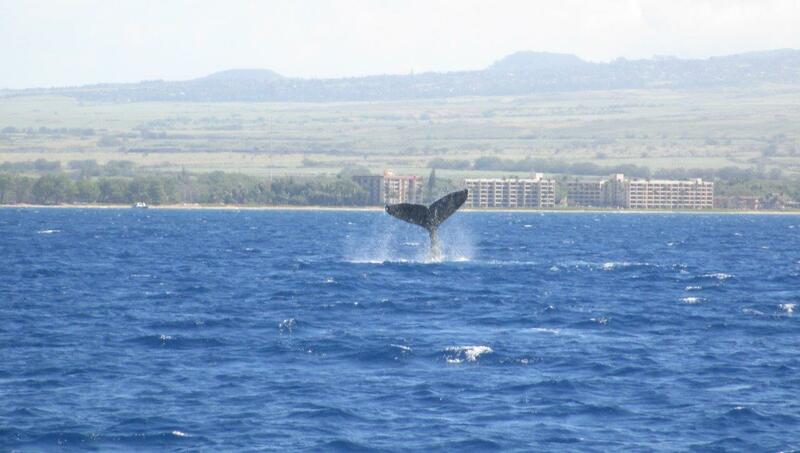 Maui is, of course, great at any time of the year, but it’s especially nice in the December – April period when the humpback whales are around. We saw whales every day we were there, whether from the shore or from a boat as in the photo above from a snorkeling boat trip. 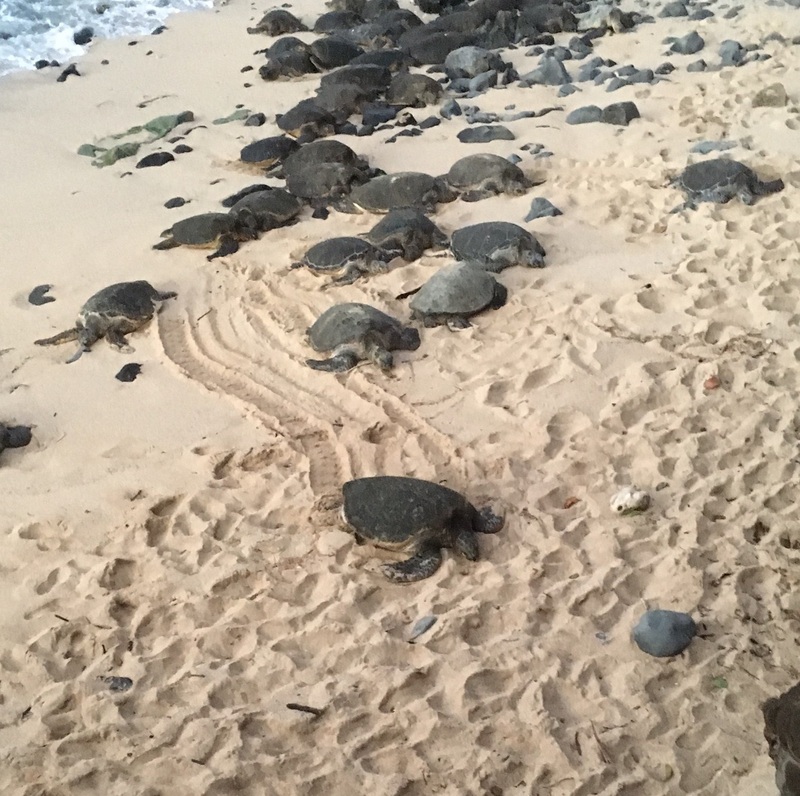 About 30 turtles were hauled up on the beach on the north shore of Maui. Awkward on land; amazingly graceful in the water: we saw one while snorkeling. While in Maui we stayed for 3 nights with a friend in Kihea, then went and stayed 3 nights at a hotel in Kaanapali. We went whale watching, snorkeling, hiked through a bamboo forest to a “hidden” waterfall and swam in the pool below, saw an ocean blow hole that shot water 75 feet in the air, went to the beach and body surfed, saw turtles (about 30) hauled out on a beach resting, and spent a day at the hotel pool and beach just relaxing. Bikini Blonde: Standard lager, easily my least favorite beer I tasted there, but very popular in the island restaurants (probably because of the name). Pali Hana Pilsner: Well done Czech style pilsner. Pueo Pale Ale: West coast style pale ale, not too bitter, really nice, probably my favorite of the ones I tasted. Big Swell IPA: I liked it at the brewery, and had it twice more at restaurants/bars on the trip. Consistently a very good IPA, with good balance, a characteristic of MBC beers. Lahaina Town Brown: Most breweries don’t make a brown ale, and of the ones that do, most shouldn’t. This was a good brown ale though, well balanced. Haleakala Sunryes IPA: Adding rye to ales has been trendy in craft breweries for the past year or two. Up until now, I’ve approached this as a fad, with minimal substance. This brew changed my mind. My favorite from that evening, and now I’ll keep looking for other good beers that incorporate rye. Nicely balanced IPA, not too bitter, not too hoppy, with some tang from the rye. One of the places I had the MBC Big Swell IPA was at Rock & Brews in Paia. I did get my fish tacos there, with a great mango salsa and some black beans. Great meal. By the way, there’s a winery and a distillery on Maui. We weren’t brave enough to try the winery, and the distillery makes only vodka, which neither Lori nor I are passionate enough about to go visit. 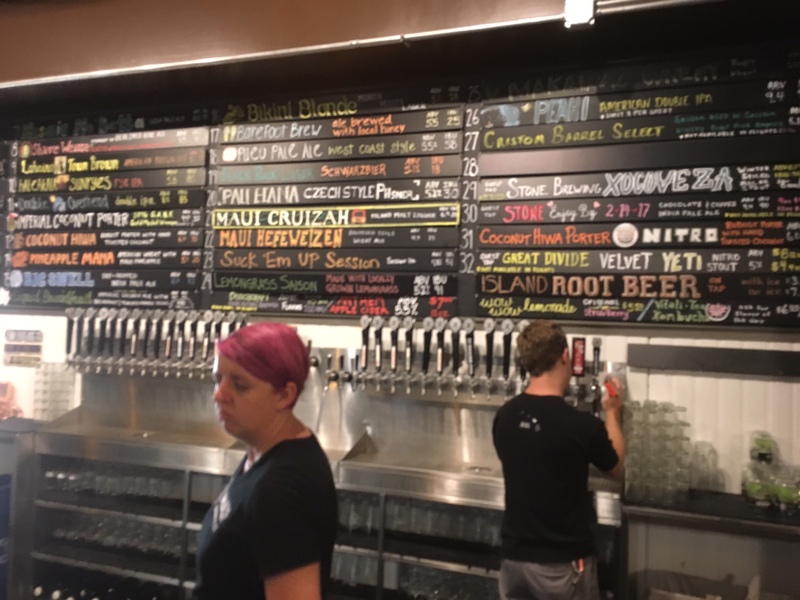 But Maui Brewing Company is worth a visit for a fun night and some beer good enough to be competitive with any of the Northern California craft breweries. 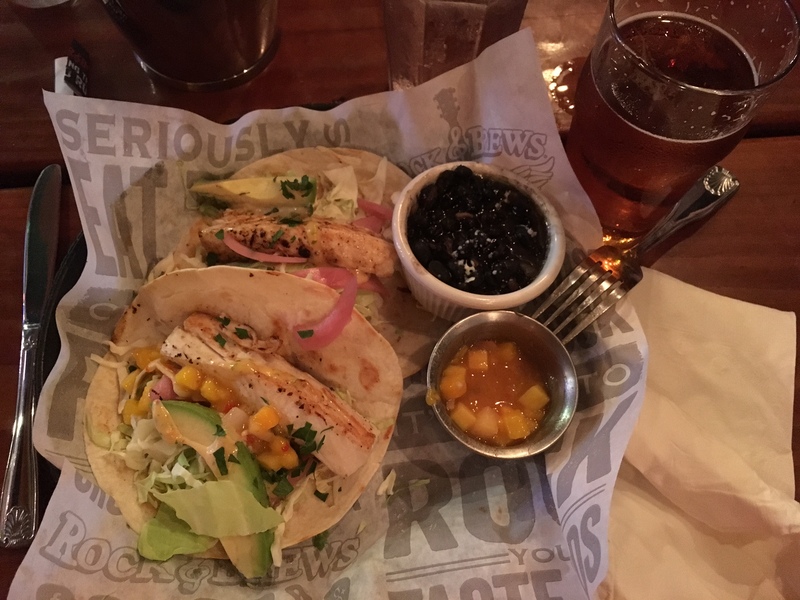 This entry was posted in beer and tagged fish tacos, Hawaii, IPA, Maui, Maui Brewing Company, rye on February 13, 2017 by vvblogman. On a cold Winter night, what better than soup as the anchor to your meal? We did this recently with some family over for dinner, with chicken tortilla soup plus ham and cheese (Havarti) croissants and a salad. OK, sounds like a nice Winter dinner; wish you could have joined us. But what wine to have, especially with soup? About a year ago, coming through Sonoma Valley, we stopped at Robledo Family Winery. Robledo’s is the first tasting room in the U.S. established by a former Mexican vineyard worker. It’s a little bit off the normal beaten path in Sonoma Valley, as it’s in the Southwest corner of the valley, but worth the visit. We really enjoyed tasting there, just the people and the atmosphere, but we also really enjoyed their wines. We bought, and have since consumed, their Tempranillo and Zinfandel. For the soup dinner, though, we opened up the 2012 Robledo Riesling, from Lake County grapes. Rieslings aren’t often found in California, and when found, they’re often not that good. But this one was quite nice, finished dry (no sweetness), with good fruit on the entry, medium weight body and smooth finish. It went quite well with the soup and croissants. Regarding the soup, we made it relatively mild, with garnishments including roasted jalapeños, spicy sour cream, cilantro, and more to spice it up. A couple more thoughts about pairing with soups. First, Riesling is often cited as being a good wine to pair with spicy foods, including Asian cuisine. I agree with this, in general. Second, when pairing with soups, consider the base of the soup – beef, chicken, etc. – and the weight of the soup. A red wine would go nicely with a beef and barley soup, for example. Seems about time to head back to Robledo to restock, and also time to make another pot of soup for dinner. This entry was posted in wine-food pairing and tagged Lake County, Riesling, Robledo Family Winery, Sonoma Valley, Tempranillo, zinfandel on January 7, 2017 by vvblogman. The simple storefront for the Seven of Hearts / Luminous Hills tasting room in Carlton. 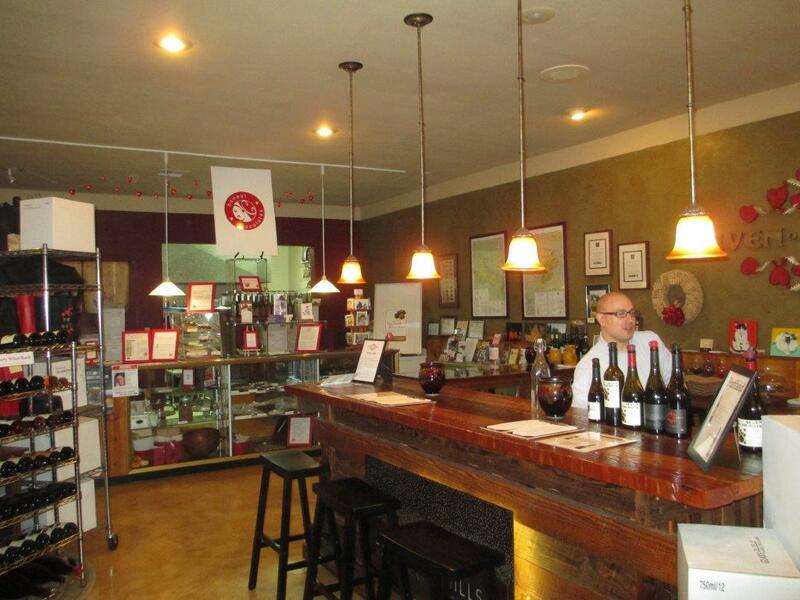 In our admittedly limited experience in Oregon, most of the wineries have their tasting room at the winery. Seven of Hearts is different, with their tasting room in a store front in “downtown” Carlton. Carlton consists of maybe two stoplights and another few stop signs, so downtown might be stretching it just a bit. 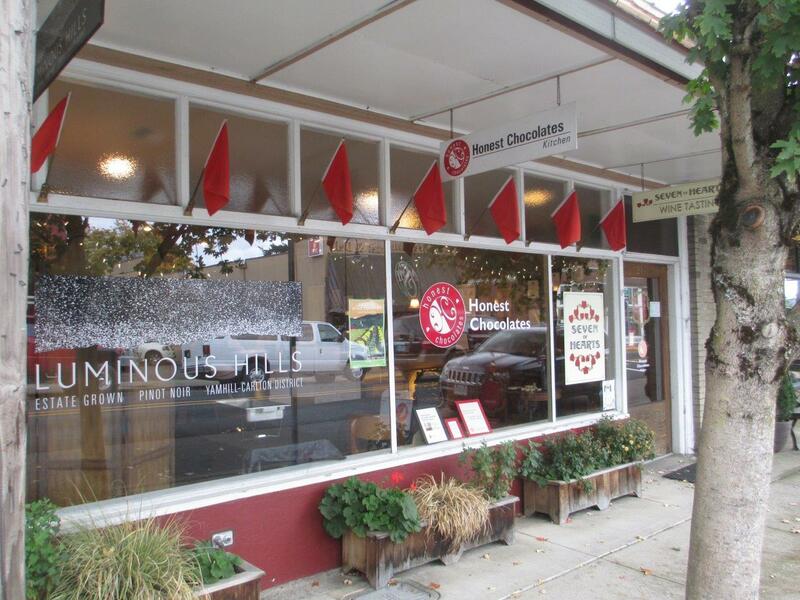 Seven of Hearts / Luminous Hills tasting room shares space with Honest Chocolates. Byron’s style for Chardonnay is fairly understated. The 2014 Willamette Valley Chardonnay underwent no malolactic (ML) fermentation, but saw some new oak, while the 2014 Gran Moraine Vineyard Chardonnay had ML, but only neutral oak. We really liked the Gran Moraine; a few bottles of that came home with us. His Pinot Noirs were also tended toward an understated style. It was interesting though that the 3 PNs we tasted from Seven of Hearts, all blends from various vineyards, were good, but not great. However, the 2014 Luminous Hill Pinot Noir was very good, one of the best we tasted on our trip, and a very good value. He also makes a GSM (Grenache, Mouvedre, Syrah) blend, and a Bordeaux blend. We tasted both the 2014 GSM and the 2014 Tradition. We liked them both – the GSM especially was nicely balanced and would probably lay down for a few years, comparing nicely to a good California GSM – but we were in Oregon for the Pinot Noir, so neither of those made the cut to be brought home. The Tradition tasting is served with a bit of the Salted Currant Ganache from Honest Chocolates. Byron also makes a Pinot Noir port, and pairs it with Dark Chocolate Hazelnut Toffee Bark for tasting. I didn’t try the port, but the chocolate was delicious. By the way, for all the feeling of clutter in the tasting room, Mackenzie and Eric provided us with a great tasting environment. Not rushing us, answering all our questions, even those we hadn’t yet asked. Very knowledgeable and nice. We tried another of the chocolates from the back, and walked out with a dozen truffles for us, and more to take home as gifts. Quite good! This entry was posted in wine travels and tagged chocolate, Luminous Hills, Oregon, Pinot Noir, Seven of Hearts, Willamette Valley on January 2, 2017 by vvblogman. 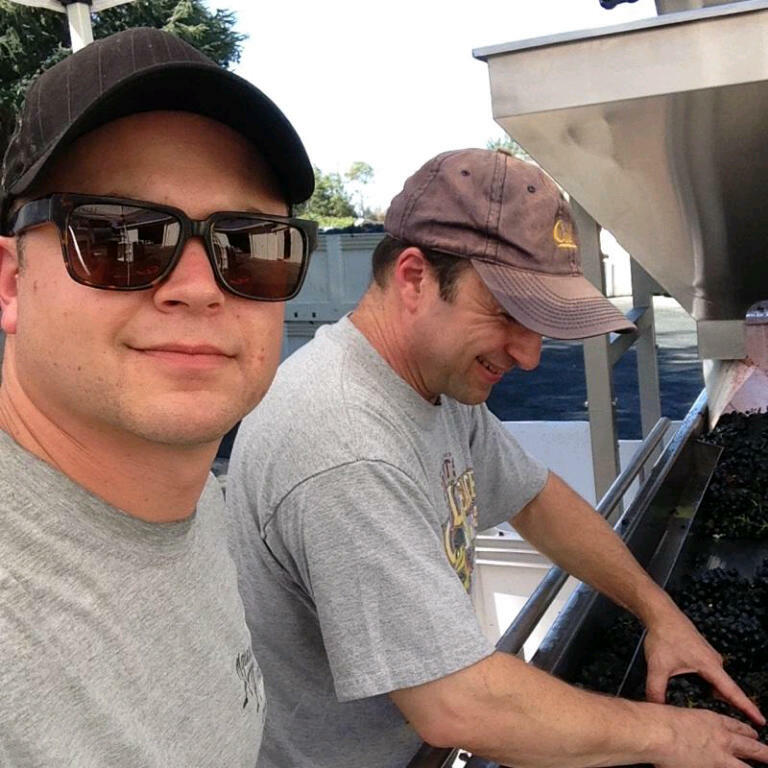 Elk Cove Vineyards (ECV) crushed their first grapes in 1974, planted their first Pinot Noir vineyard in 1975, and now makes about 45,000 cases each year. Of that, about 1/3 is Pinot Noir, another third is Pinot Gris, and the rest is split between Reisling, Chardonnay and rosé of Pinot Noir. Their early start qualifies them as a pioneer in the Willamette Valley, while their quality, longevity and volume make them one of the current leaders. 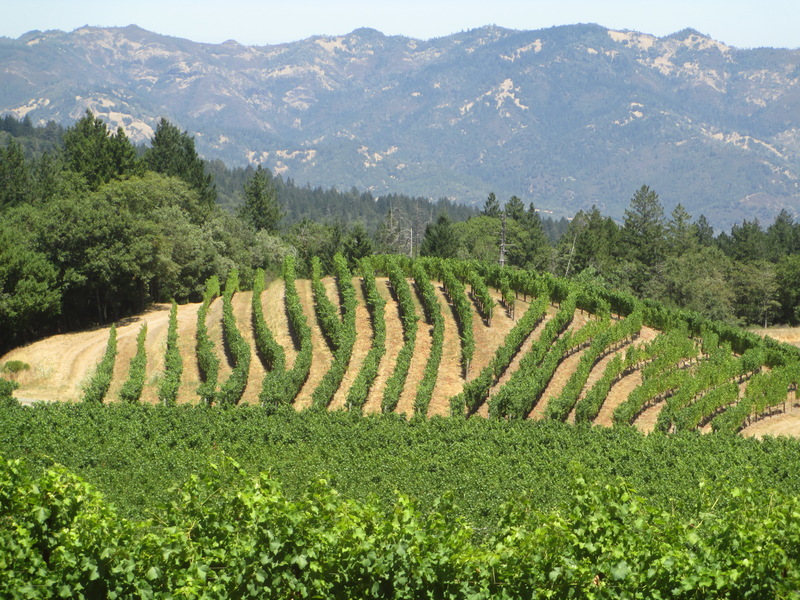 The original vineyard at Elk Cove Vineyards was planted in 1975. We weren’t sure what to expect with ECV. We turned a corner and came through a line of pine trees, and there were vineyards (their original 1975 vineyard) right there in front of us, and the winery down at the bottom of the hill. Beautiful. As we pulled up to the tasting room, we noticed the flower gardens, also beautiful. And the vineyards come up to the edge of the deck off the tasting room, so you feel like you’re in some sort of Eden-ic spot. 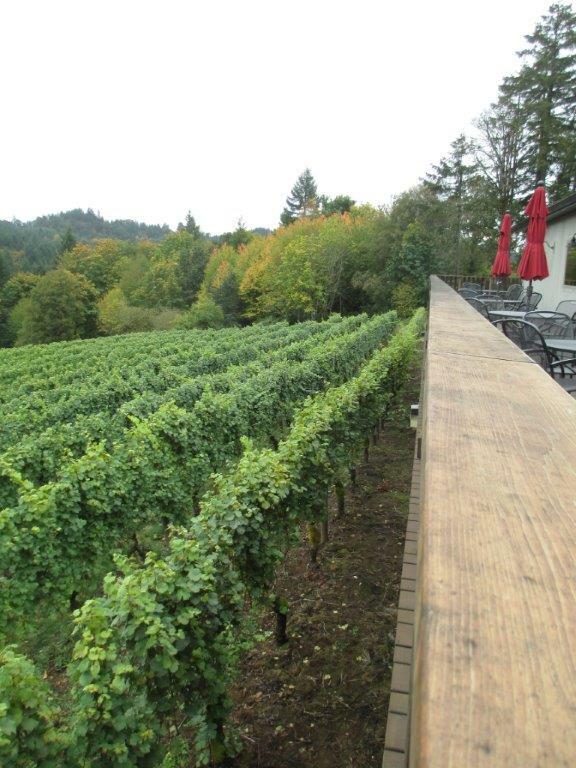 The vineyards come right up to the deck at the Elk Cove Vineyards tasting room. Out of the car, and it’s obvious that they’ve just “finished” harvest. Finishing harvest has a different definition for winemakers and lay people. For us lay people, we think of finishing harvest in a literal sense, that all the grapes have been harvested. The winemaker and his/her team think of harvest as extending through to when they’ve got the last wine out of the fermentation tanks and into the barrels. While there’s still wine in tanks, the winemaking team has to be there every day, a few times each day, to make sure that the fermentation process is proceeding according to plan. When they get the last wine into barrels, the 2+ months of being at the winery every day is over; harvest is over for the winemaking team, and they can see their families again. One of the first tasks after finishing harvest is cleaning out the skins from the tanks, and from the smell that was the task they were getting on with that morning. The tasting experience was also nice because of the person behind the bar. Joe worked for about 30 years at Intel (maybe the largest employer in Oregon) as a software engineer. Having retired a year ago, he’s now serving wine, and playing classic rock in the tasting room. Eagles, Heart, Pink Floyd, Van Morrison, … My high school and college sound track. 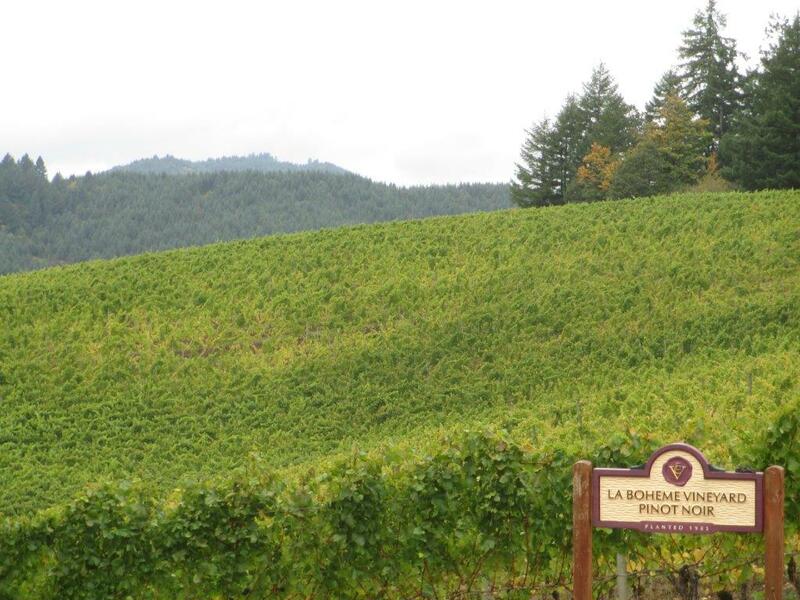 The La Boheme Vineyard at Elk Cove Vineyards was planted in 1985. Well, I’m about 400 words and 5 photos into this blog and have yet to say anything about their wine. Lori got one tasting flight, and I got the other, so that we could maximize the number of wines we tasted. Looking back at my notes, we didn’t taste the Pinot Gris, and the Chardonnay and rosé we tasted left no memorable impression on me. The 2015 Estate Reisling, which is made off-dry with less than 1% residual sugar, was nice to taste. 2014 Willametter Valley Pinot Noir: Cuvée (blend) made from grapes from all six of their vineyards. 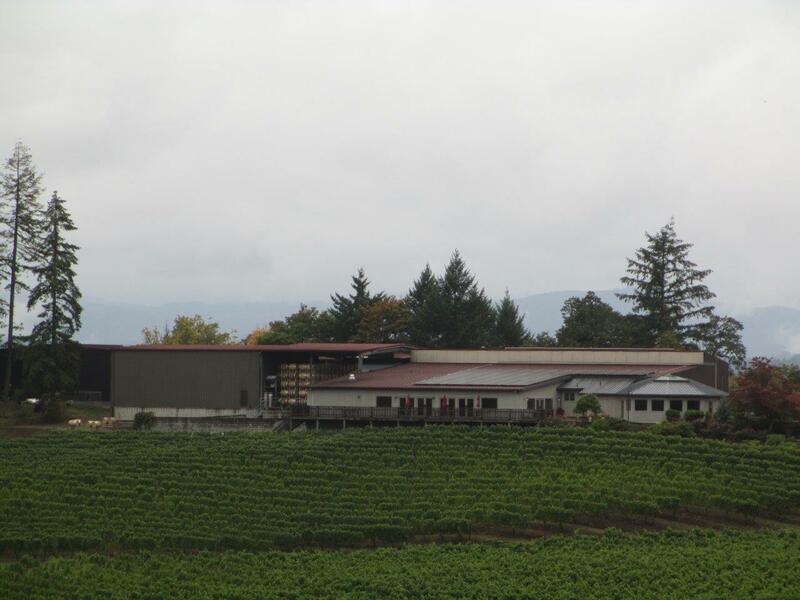 2014 Mount Richmond Vineyard Pinot Noir: This vineyard is near Yamhill, and this was Lori’s favorite. 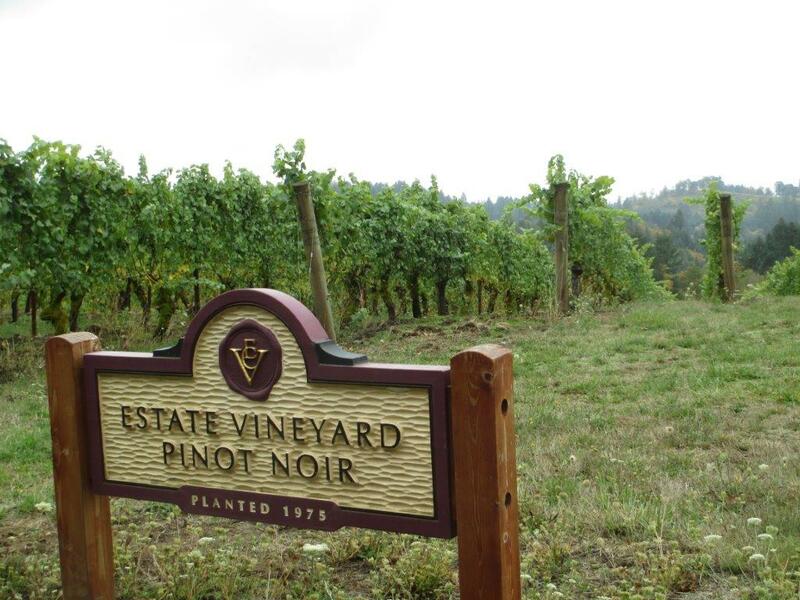 2014 Clay Court Vineyard Pinot Noir: Their smallest vineyard, volcanic soil, Parrett Mountain area, and home to the ECV founders. My favorite. 2014 La Bohème Vineyard Pinot Noir. This vineyard was planted in 1985 on the other side of the winery from the original vineyard. 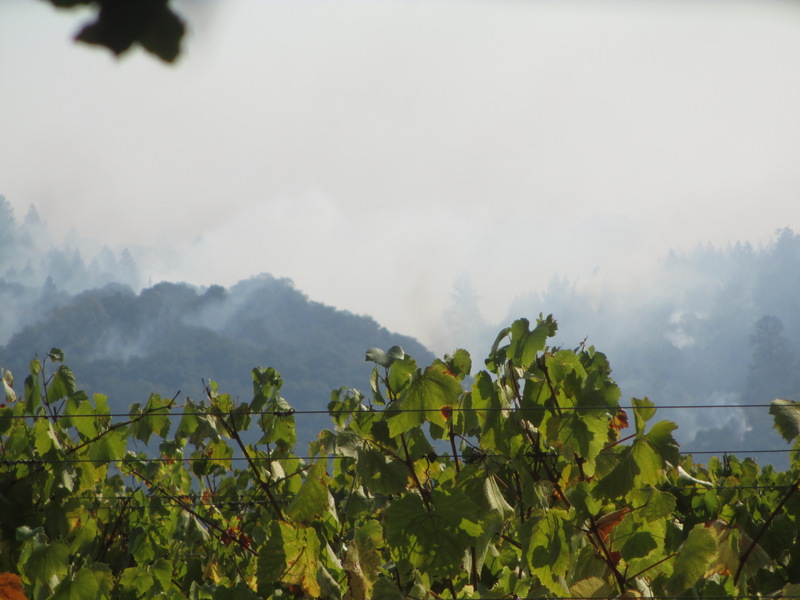 2014 Windhill Vineyard Pinot Noir: Not our style. 2014 Goodrich Vineyard Pinot Noir: Their newest vineyard. 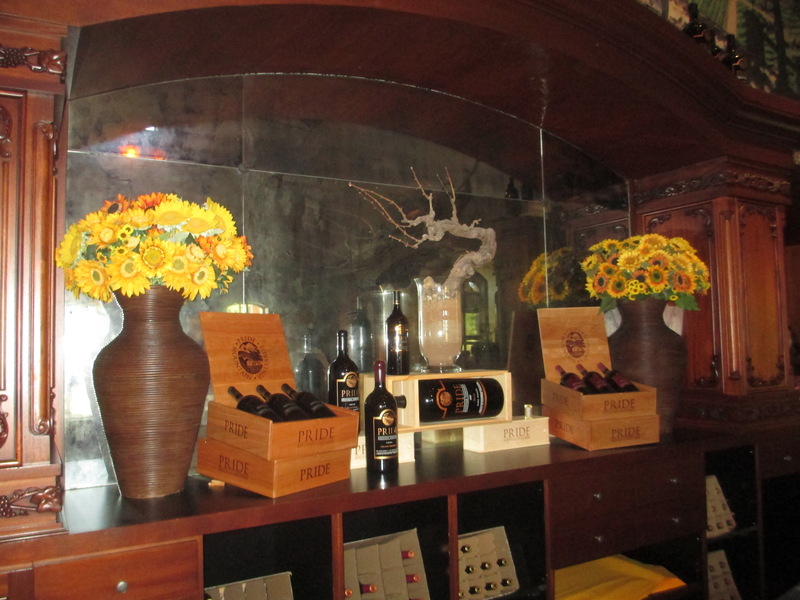 All together – the setting, the tasting room atmosphere, the quality of wines – this was a great wine tasting experience. This entry was posted in wine travels and tagged Elk Cove Vineyards, Oregon, Pinot Noir, Willamette Valley on December 29, 2016 by vvblogman. On our last day of wine tasting in Oregon, we ventured south of Corvalis. Though this is 75 miles south of McMinnville and our previous two days of wineries, this is still the Willamette Valley. 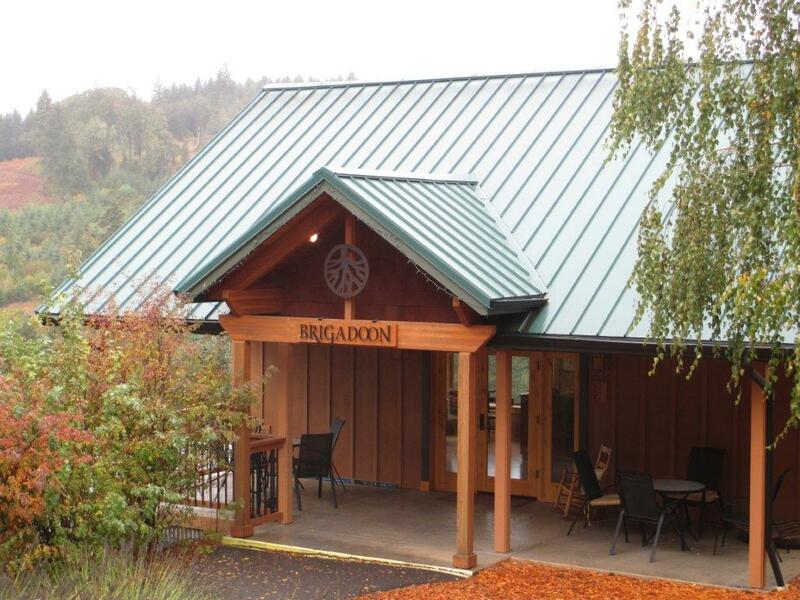 After going to one of the larger, well known wineries, we visited Brigadoon as the last winery on our trip. You might know of the musical Brigadoon, with the basic set up that Brigadoon is a magical spot that appears in the Scottish Highlands for one day out of every 100 years. The winery Brigadoon is, fortunately, there every day of the year. It’s a small winery; only about 1,000 cases per year of the three Pinots (Gris, Blanc, Noir) plus Reisling. The Pinot Blanc was interesting and different than the others we tasted on this trip, as it was done with no malolactic (ML) fermentation. It was good, best we had in Oregon, although I still am not a huge fan of this varietal. The picnic area at Brigadoon. Some other interesting points about Brigadoon. It’s kid-friendly, with some toys in the small tasting room to help keep the little ones occupied while you’re enjoying the wine. They’ve got a nice picnic table there, which we took advantage of, having brought sandwiches. (We also bought a bottle there to have with our lunch.) They have a nice, friendly dog, Gracie, at Brigadoon. At least friendly to humans; not sure about other dogs. It probably says something about our priorities that the dog is mentioned before the people. Chris Shown, proprietor and vineyard manager, was behind the bar when we were there. He grew up in Napa Valley, but moved to the Willamette Valley for his own vineyards and winery. In addition to talking about his wine, he’s still a fan of the SF Giants, and as the season had just ended for the Giants that was as much a topic as the wine. Also, they grow root stock there, not just their own grapes. You are probably aware that most grape vines start with a relatively generic root stock, with the actual wine grape varietal grafted onto the root stock about one year after planting. 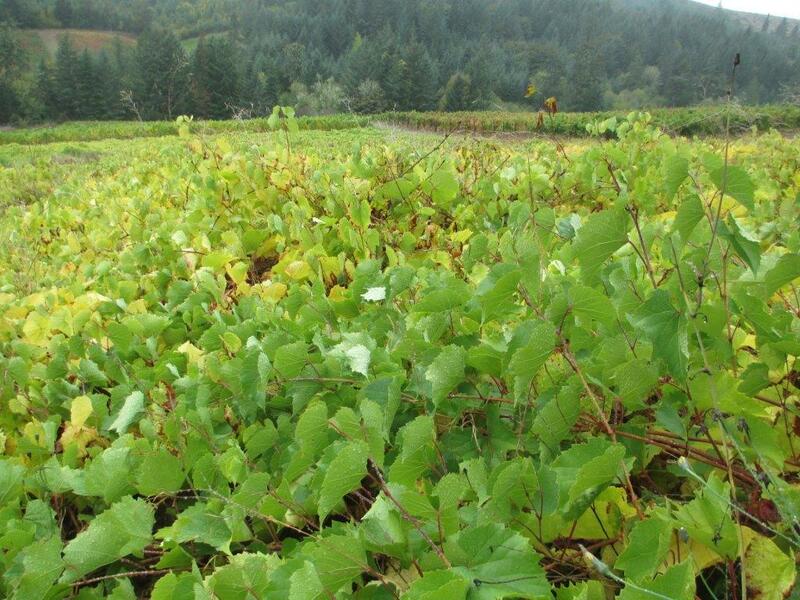 Brigadoon works with nurseries in Oregon as a root stock provider, and so you see a few fields of untrained, untrellissed vines there, which was an interesting sight. This was a great tasting experience, and I hope to get back there (or at least keep buying their wines). This entry was posted in wine travels and tagged Brigadoon, Oregon, Pinot Noir, root stock, Willamette Valley on December 21, 2016 by vvblogman. Lori and I recently spent a week going from Seattle to McMinnville (Oregon’s Willamette Valley) to Corvalis (wineries, breweries, and a California v Oregon State football game that did not end in the Cal Bears favor). Torii Mor was the first winery we visited. A great way to start. Entrance to the tasting room at Torii Mor. Panoramic vineyard view from Torii Mor. One of the garden areas at Torii Mor. 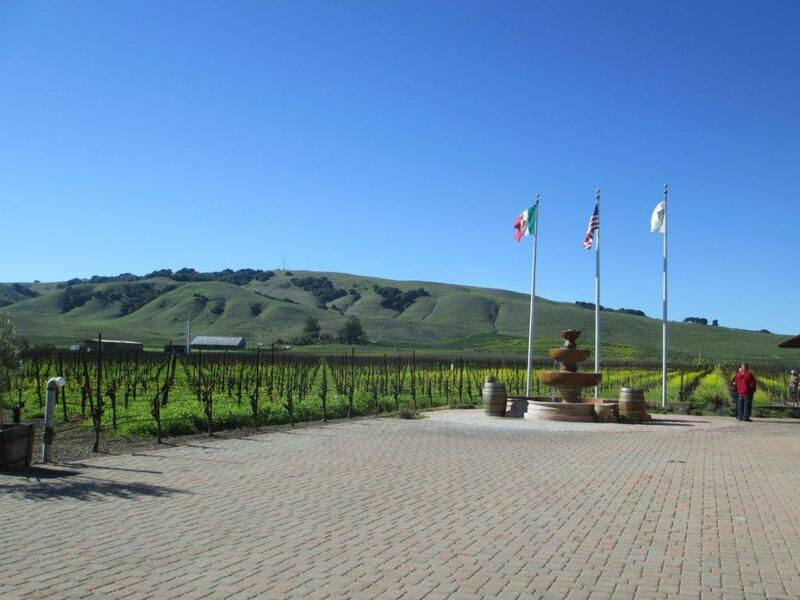 The architecture of the winery and tasting room, and even the landscape architecture, has a slightly Asian feel. 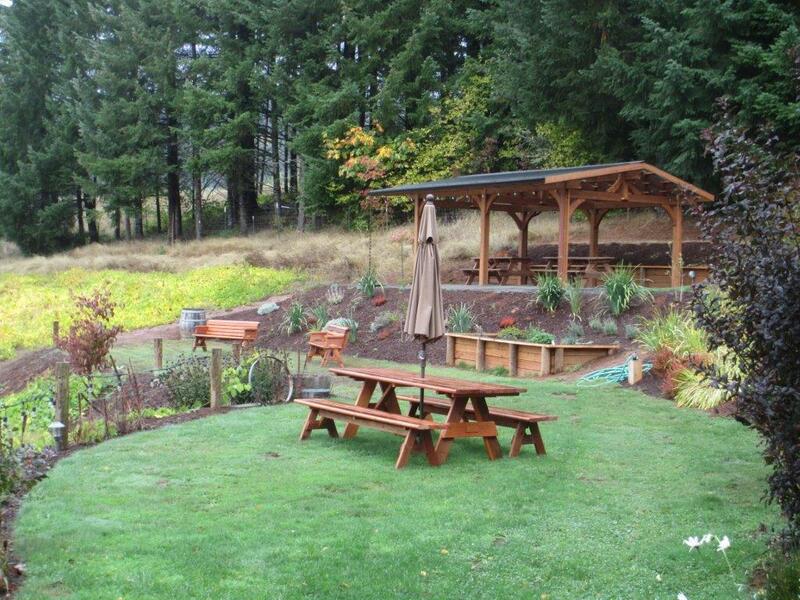 This might be the place to discover the zen of Pinot Noir. It’s a very calm place, but that belies the intensity of the effort going into the wines. There’s a lot going on beneath the surface. We started with their whites, Pinot Gris and Pinot Blanc. The Pinot Gris had really nice nose, more substantial body than we’re used to seeing in a Pinot Gris, and nicely balanced flavors. It reminded us a bit of a good Sauvignon Blanc, with enough acids to work well with a range of foods. Pinot Blanc is a mutation of Pinot Noir, except now a green grape (white wine). This really didn’t do anything for me, but in fairness to Torii Mor, we didn’t taste even one Pinot Blanc in Oregon that we were at all interested in taking home. Torii Mor vineyards bordering on the forest. On to the Pinot Noirs. I’ve had Oregon Willamette Valley Pinot Noirs in the past, and enjoyed them, but with living in California I’ve been drinking Pinots from the Russian River Valley, Carneros region, Santa Lucia Highlands (Monterey) and Santa Ynez Valley (Santa Barbara) for the last 20 or more years, with hardly a bottle of any other Pinot (Burgandy, Oregon, New Zealand) thrown in. This was my first visit to the area, and my first time ever really focusing on Oregon Pinot Noir. The climate there, a bit cooler than in California, leads to Pinot Noir grapes with less sugar at full ripeness and therefore less alcohol. Lighter body seems also a regular characteristic, as does less bold fruit flavors. Yet these characteristics do not diminish from the quality of the wine, it just makes them different, and interesting. And when they’re well made, very enjoyable. With Torii Mor, we found a range of Pinot Noirs, depending on which vineyards from which AVAs they were sourcing the grapes. One of our favorites was the 2014 Yamhill Carlton Select Pinot Noir, which surprised us with the complexity of the wine with such a light body. We brought a bottle of that home with us, and opened it our first night back, tasting it against an Armida 2014 Gap’s Crown Vineyard (Sonoma Coast) Pinot Noir. They were both easily identifiable as Pinot Noir from the flavors, but completely different wines, both excellent. By the way, Torii Mor has a couple of winery cats that hang out around the tasting room. And if Eddie is behind the tasting room bar, you’ll get a nice description of the wines and vineyards, without him telling you what you’re going to taste in advance. I don’t know when we’ll get back to the Willamette Valley, but I’m already looking forward to the next trip. 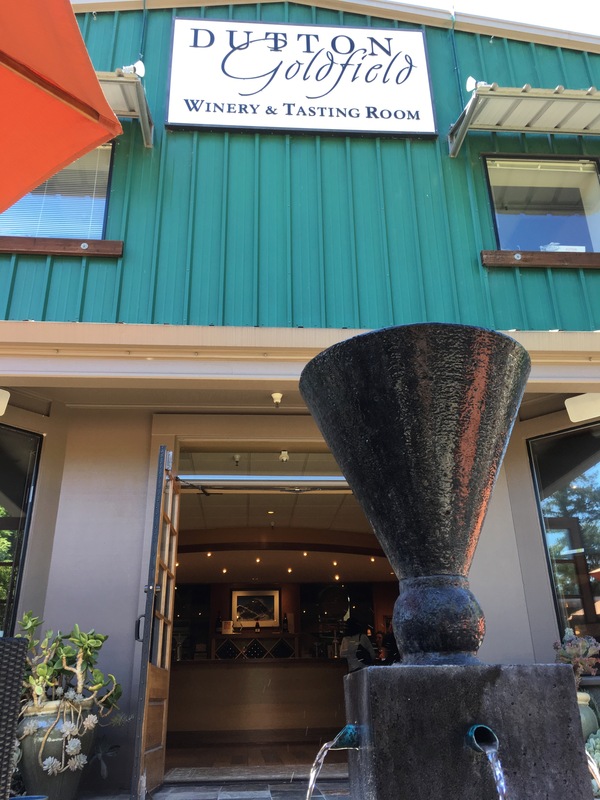 This entry was posted in wine travels and tagged Oregon, pinot gris, Pinot Noir, Torii Mor Winery, Willamette Valley on November 5, 2016 by vvblogman.